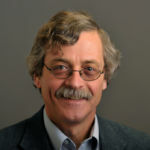 David Watson is the Andrew J. McKenna Professor of Psychology at the University of Notre Dame. He is well known for his work in personality, clinical, and mood assessment. He and his colleagues have created a number of widely used instruments, including the Positive and Negative Affect Schedule (PANAS).